It isn't uncommon for Sydney restaurants to let customers bring their own wine, some even allow cake, but BYO produce? The menu at Ultimo's Malacca Straits has a BYO crab option where customers can turn up with a mud crab and for $20 the kitchen will return to sender as Singapore chilli crab, or Kam Heong-style. Given the restaurant's proximity to the Sydney Fish Market, you'd imagine most of the crabs haven't travelled far. 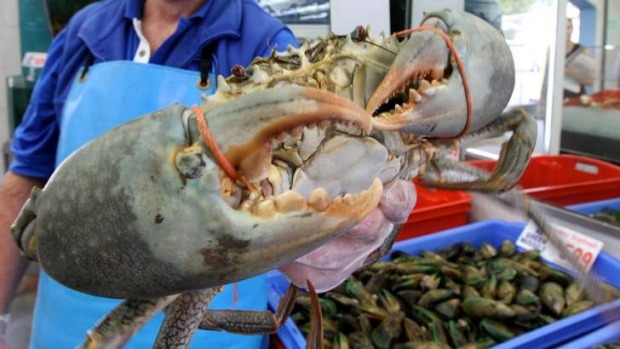 "We had someone call from Queensland a few days before he caught his own mud crab, flew down with it and had us cook it," says co-owner Jing Tam. The restaurant usually cooks about 30 BYO mud crabs a week, but high prices for the seafood delicacy have hit numbers in recent weeks. "We only do mud crab as you'd have to cook two or three to get the same out of a smaller crab," Tam says. The other advantage is the restaurateur doesn't ever face criticism over the quality of the produce.